Campania’s wine production concerns the whole region, however a great concentration is registered in the province of Avellino - area from which “Taurasi”, “Greco di Tufo” and “Fiano di Avellino” come from - and of Benevento, from these areas wines belong to the interesting group of Guarantee of Origin (in Italian, DOC) Wines of Sannio and Taburno. patrimony of Campania is extremely rich, particularly of autochthonous grapes, that after having been ignored for years, supporting instead international varieties of wine - exactly as it happened in other regions of Italy - finally, in the 1990s these grapes have been rediscovered and appreciated as they certainly deserve. 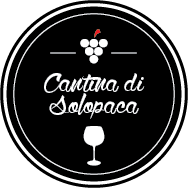 The most interesting wines in Campania are produced in fact with autochthonous grapes, both whites and red, an authentic treasure that the region is absolutely able to exploit, characterizing in unique way the enological production of Campania. Thereby, the example of Campania should be followed elsewhere also in Italy, since every region of the Boot (=Italy) is rich of such autochthonous grapes that they make absolutely unique every single wine area.